A little baby receives the care of his guardian angel in this peaceful sculpture designed for use as a memorial statue or as an addition for the garden. 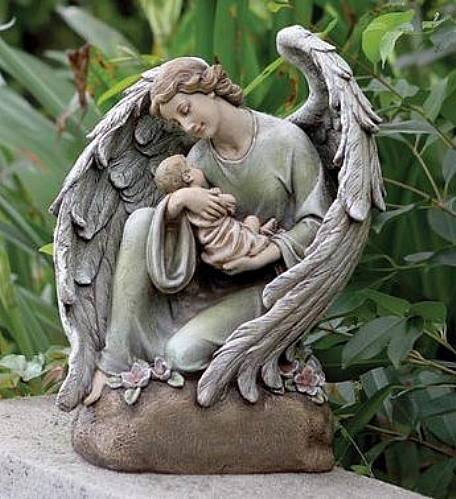 The angel statue comes beautifully detailed, to reflect the love and affection over the baby left in her charge. Dimensions: 17"H x 13" x 8"